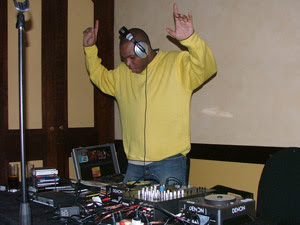 Just letting you know I got the streaming audio up and running so look out for some live mixes soon. In the mean time you can listen to my remix of "Bring back the music" by Jae from her latest album - G.I. Jae. 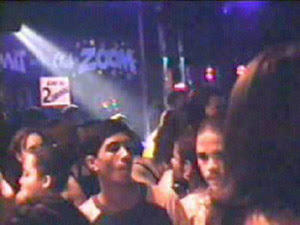 Some Zoom memories. 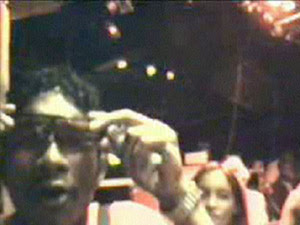 These were captured from old VHS-C camcorder cassettes, so please excuse the poor quality. I don't think I need to say who these guys are. 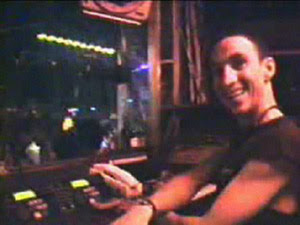 They took over DJ'ing at Zoom when Mark and I left. Not only that, they took it to a whole new level. 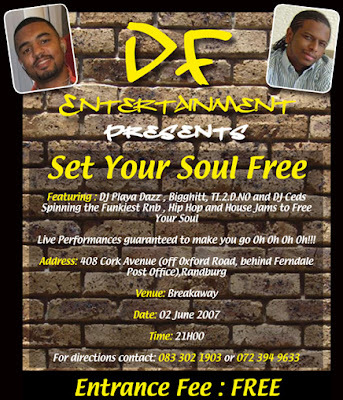 When Zoom folded (sadly) these guys went out and started their own entertainment outfit, taking the Zoom crowd (who at that point had nowhere to go) to new venues and giving them a bigger "jol" than they'd become acustomed to at Zoom. 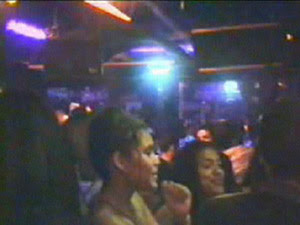 Don't get me wrong, in it's hey-day, Zoom was a place like no other. 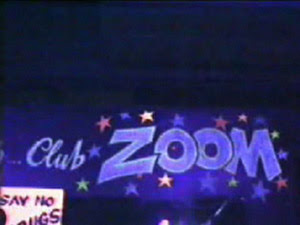 An atmosphere that will never be seen again (RIP Club Zoom - You will NEVER be forgotten). Dubble Trubble have their gigs at Skyybar once a month and if you haven't been, get your name on their mailing list (by invitation only) and get to their next party. Chances are you'll see us (FreekForce) there as well. 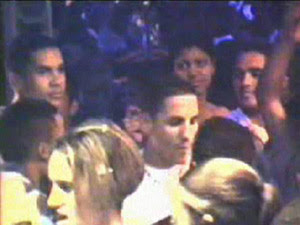 All Dubble Trubble jols are on their web gallery so you can check out past events to see just what I'm talking about. 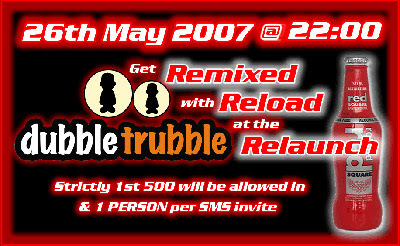 Go to www.dubbletrubble.co.za - See you there! 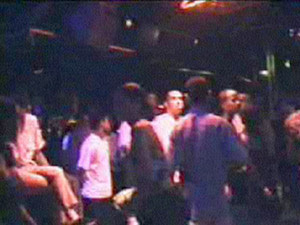 This was at the end of 2004 at the DLI hall. 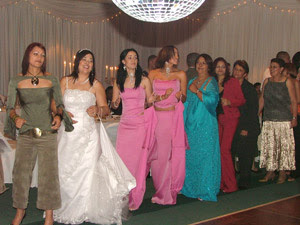 Time to do the Electric Slide. 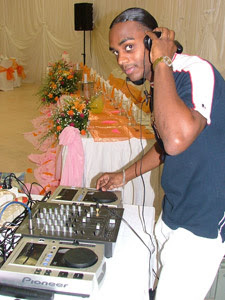 The final countdown from 2004 into 2005 at the Holy Family Parish hall in Newlands. 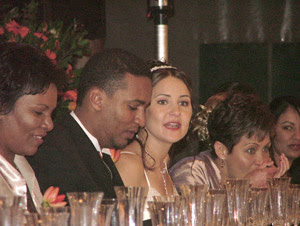 Top to bottom: Dean and Cyrelle Yon (Blue Waters Hotel); Marlon and Shannon (21 January 2006 - St José); Mr and Mrs Cedric Greaves (of Pain Mobile Disco - Jhb); Mr and Mrs Reggie DeGee (New Castle). Forgive me for not remembering names. 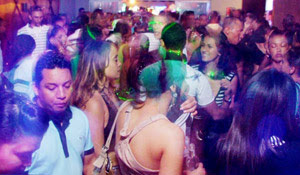 Before you know it we will be booking Christmas Parties and New Years Functions. I will be back on Monday with the happenings of Freek Force Mobile Disco's weekend activities and lots of other information. 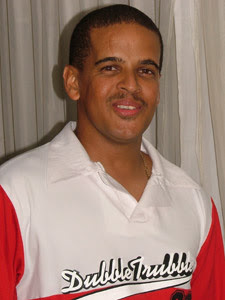 BTW The name Freek Force is the name Mark has been using for his mobile since way back in 1986. And think about it... in 1986 "Freek" was a good word. eg. 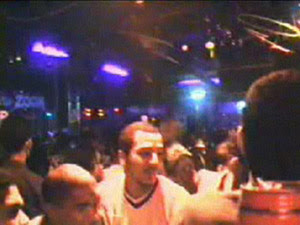 The freaks come out at night - by Whodini; Freakshow on the dancefloor - by The Bar-Kays; just to name a few. The original logo was a fist coming through a vinyl record which in turn was shattered, with the words Freek and Force on either side. 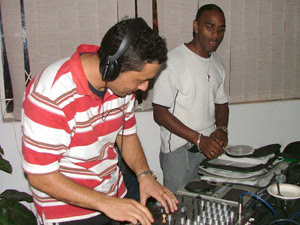 FreekForce rockin' da spot at another Dubble Trubble function at Skyybar. I know Thriller is the biggest selling record of all time and the Motown 25 performance of Billie Jean put this man on the map. But this album pictured here is the real masterpiece. If you haven't heard all the tracks, do yourself a favour and try to. 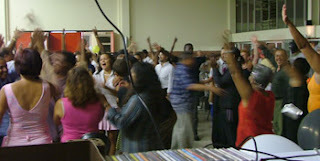 Everybody's heard "Don't stop til you get enough" and even we play "Rock with you" regularly. But tracks to look out for are "It's the falling in love", "I can't help it", "Girlfriend" and ofcourse "Off the wall". The younger generation will say "Hey this man copied Loyiso's song!". Sorry children, this original recording was done in 1979, back then... Loyiso who? Don't let that put you off. This is smooth RnB, definitely enjoyable in this day and age. Listen to the instruments and orchestration. Quincy Jones... enough said. I can't take these ou's anywhere! 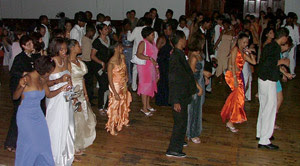 One of the many consecutive years that we have played for Hillview Secondary's Matric Ball. 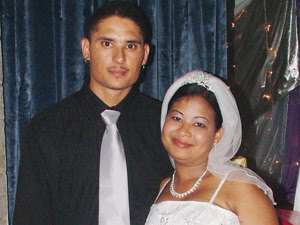 We have been to too many weddings to remember all of them. Forgive us if we don't remember. 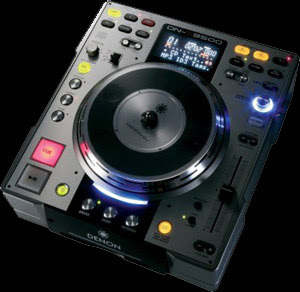 I would imagine not too many have had the opportunity to fiddle with the Pioneer DJM-800™ mixer. 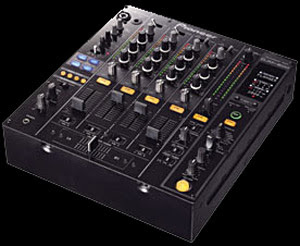 I can't imagine needing any more features from a mixer. Everything I've imagined, I have actually been able to do with this mixer. Put that together with the Denon DN-S3500™, and I can bet you anything imaginable is possible. 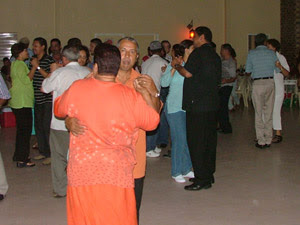 We also did the Hearth Social Club's monthly dance for 2 years in Sydenham. *Lang-arm is a big part of our reputation. 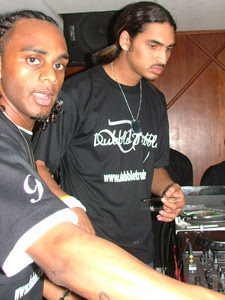 Dubble Trubble DJ's - Wiz and Phab are always "keeping up appearances". 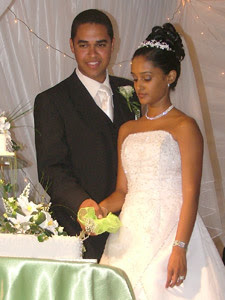 This Saturday (12 May 2007) we did the Ceremony and Reception for Sherreden Prince and Shereen Moodley's wedding. It went off very well. We already have two more bookings and a possible ship cruise (fingers crossed) through impressing the crowd. 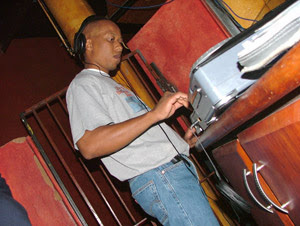 I started DJing around 1995 in Octagon with Mark. 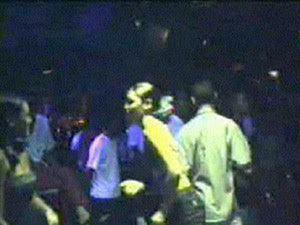 When the place closed down we moved to Club Zoom in January 1996, spinning the matinee's and night spots. 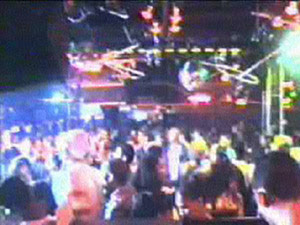 Club XTC was owned by the owner of Zoom (Ash) so we played there as well. Sunday matinees and friday nights mainly, with DJ Wills. 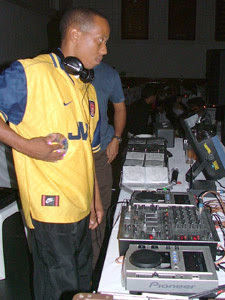 All the FreekForce DJ's are from mobile and club backgrounds so our musical variety covers just about everything. In the mobile I play mainly the 80's set, my trademark being "Walking into sunshine" by Central Line. 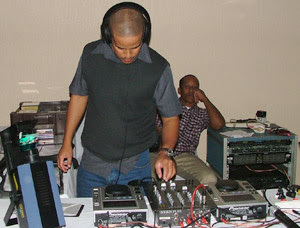 I also play the early house tracks and squeeze my way into the RnB set. On the side - I fiddle a bit with production. 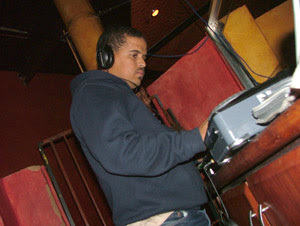 Had a few underground tracks back in the day. Nothing professional ... YET. 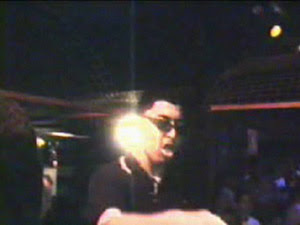 Favourite Artists/Genre: Guy / New Jack Swing. 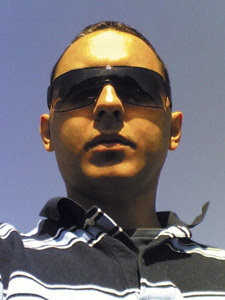 Favourite Producers: Teddy Riley, Dr Dré, DJ Quik, Steve 'Silk' Hurley. So...Why the blog. Well because we play on a weekly basis and a blog is kinda like a diary; it's the best and quickest way to keep up-to-date with what's going on. And everything is arranged chronologically, so when you log on you see the latest first. I also plan on putting pictures up of all functions we play for, hopefully soon get a forum running, give you some profiles on each of us and what we play. 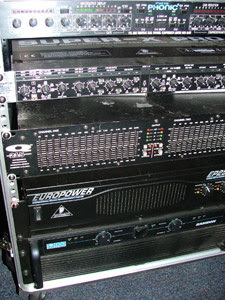 *This is a pic of our "B" setup amprack. 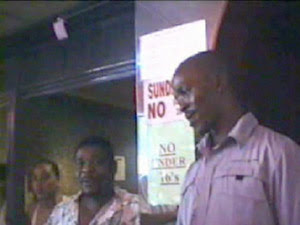 We got invite to play at Kalabash in Jozi last year. Here are Mark and Brent doing what they do. 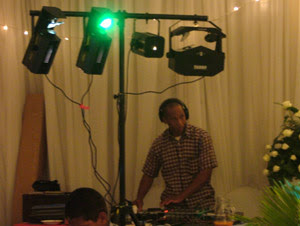 I think the highlight of the weekend for me was when I played "Keep it Comin'" by Keith Sweat! 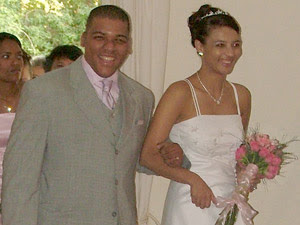 And then up to Ballito to play for Carl and Michelle Lupke's wedding at Collisheen Estate. 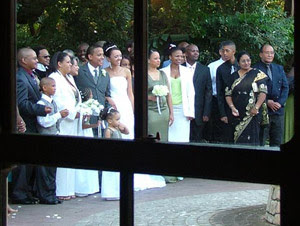 We peddled our act all the way to Port Shepstone to play for a wedding down there. 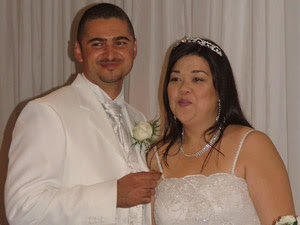 Turned out to be quite a jol. 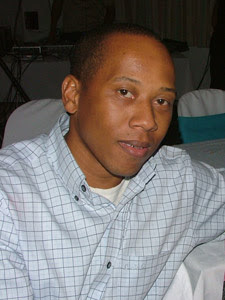 Yep...Kieren IS 40 years old! 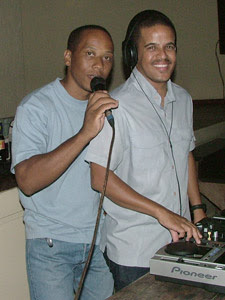 Myself and DJ Paul (aka Phabulous) wacking the 80's set at Kieren Apollos' 40th birthday party. David Greaves helped us out this festive season. 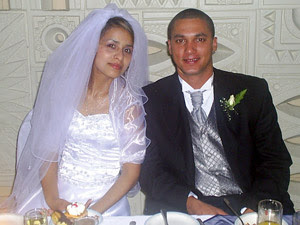 We were so over-booked, he came and helped me with a corporate function while Mark and Brent were at another function. 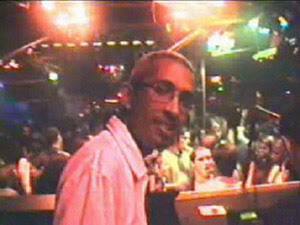 Dave and his brother Cedric ran Pain Mobile Disco together with Mark in the 80's and 90's. 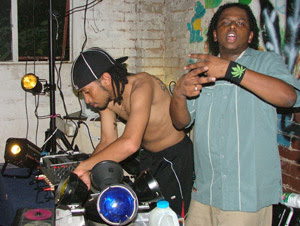 Nutz and Playa Dazz banging the Hip Hop tracks at Care Bears garage party in Greenwood Park. 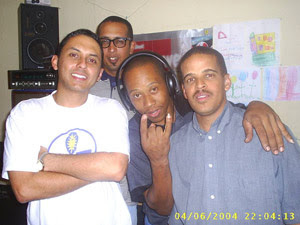 From left to right: DJ Roland, DJ Wills, DJ Mark & DJ Brent. The original Freek Force members. Remember what I said about Mark being a laaitie for lights. He makes us carry this rig everywhere we go!